di­gi­Kam is my preferred Photo Library Management tool since 2009 – the best tool for this purpose I've ever seen! di­gi­Kam is a real free software development and was not available for Win­dows or Mac OS (without X Win­dow Sys­tem), when I first saw it. But for some years the possibilities, and maybe also the willingness, increased, to provide free software for the commercial operating systems as well. The digiKam handbook with tips for Di­gi­tal As­set Ma­nage­ment is excellent too. The application is available in many languages (localisations), the handbook only in English. 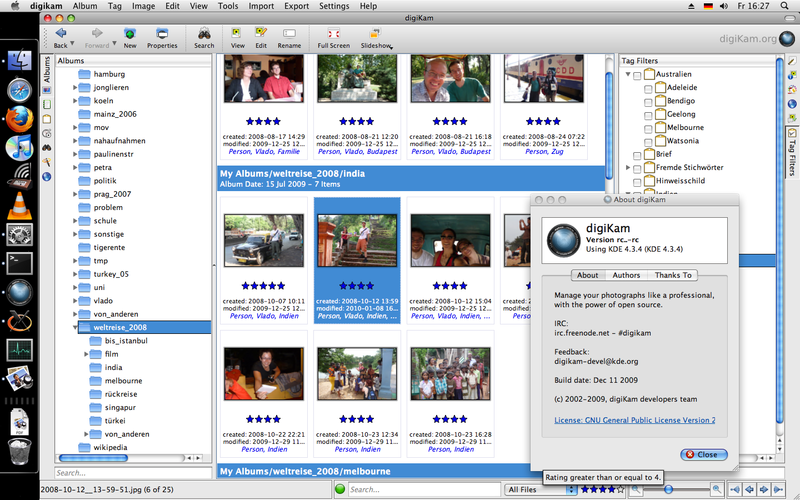 Internally digiKam has long been using MySQL databases, to allow for quick searches and filtering. 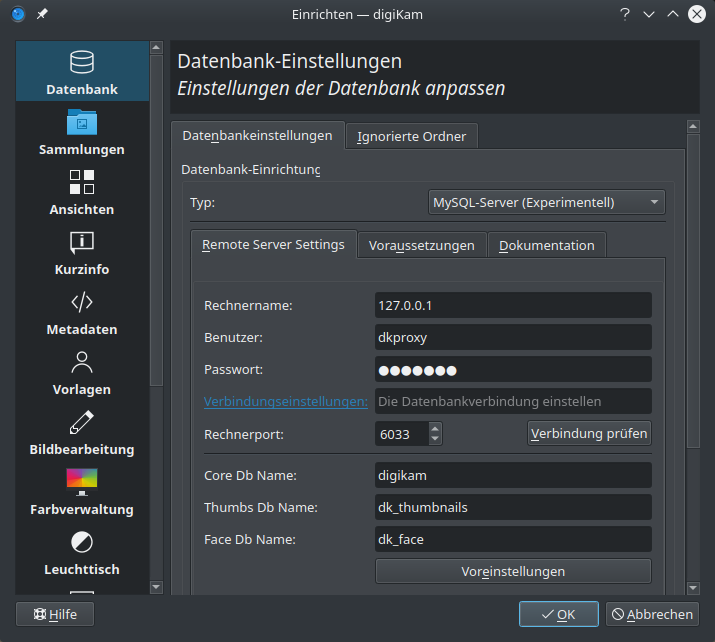 At least since 2016, with digiKam 5.0, it became relatively easy to use normal/ external MySQL databases, and since about that time I started experimenting with it. The main benefit for me was that I could now deposit my pictures on a network drive, and access them both from a desktop computer (faster, with a bigger monitor), and from a laptop (when laying on the sofa). 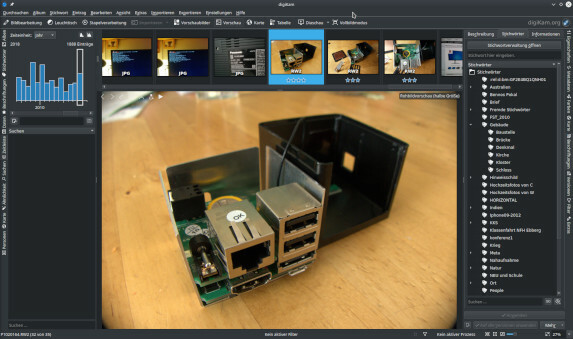 In december 2018 there now is a detailed how-to Use digiKam with a NAS and MariaDB on the digiKam website, helping you set up something like this. ProxySQL allows you to redirect a user's SQL queries to different SQL servers, by defining rules that match query patterns. In my digiKam usecase the rules are fairly simple, since all commands involving the thumbnails database dk_thumbnails should be redirected to a local MySQL server, and all calls to the digikam database redirected to the network server. I also created my dk_face database on the network server, since I'm not really using it, and it might be worth sharing it. When configuring ProxySQL I sometimes accidentially logged in to MariaDB instead, or had trouble connecting to ProxySQL. Watch for the correct ports, and use 127.0.0.1 if localhost or hostnames don't work for you (as I experienced).